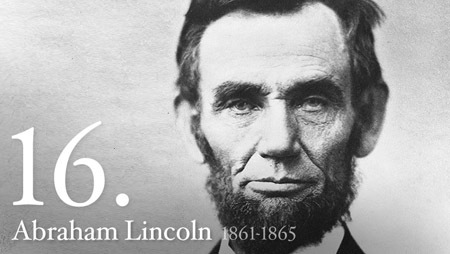 Unit VI will cover a critical time period for American History. The Civil War. It focuses on the issues of slavery, battles and strategies, and the war it self. The end of this unit will begin to cover the reconstruction period, which is where your 10th grade social studies class will continue. Explain how differences between the North and the South led to the Civil War. Detail the major campaigns and strategies of the Civil War. Describe the Reconstruction policies and their effects on the former Confederacy. "A house divided against itself cannot stand"
The Civil War Animated: A great website for those who wish to visually experience the battles of the Civil War. Civil War "Info-graphic": Another visual aid which helps to show the cost in human lives occurred during the Civil War for both the Union and Confederacy. Civil War Biographies: A great website to read briefly about most of the major people associated with the Civil War on both sides. Unit VI PowerPoint: This is the PowerPoint we use in class. It is full of notes, assignments, and other materials which would be helpful to review prior to the quiz and exams. Unit VI Timeline Project: Timeline project designed to allow students to become accustomed to major events during this time period, as well as see the chronological order, and evaluate the cause and effect of events. Unit VI Timeline Poster (Homework): Timeline poster project allows the students to explore other events from around the world occuring at the same time as the period we are studying. Unit VI Vocabulary / Unit VI Vocab Packet Vocabulary and key terms are essentially prior to beginning any unit of study. They will help students familarize themselves with terms present throughout the unit. Unit VI Vocabulary Poster: A visual aide useful for studying vocabulary terms. Unit VI Vocabulary Crossword: A vocab review assignment designed to help students familiarize themselves with our key terms for Unit VI. 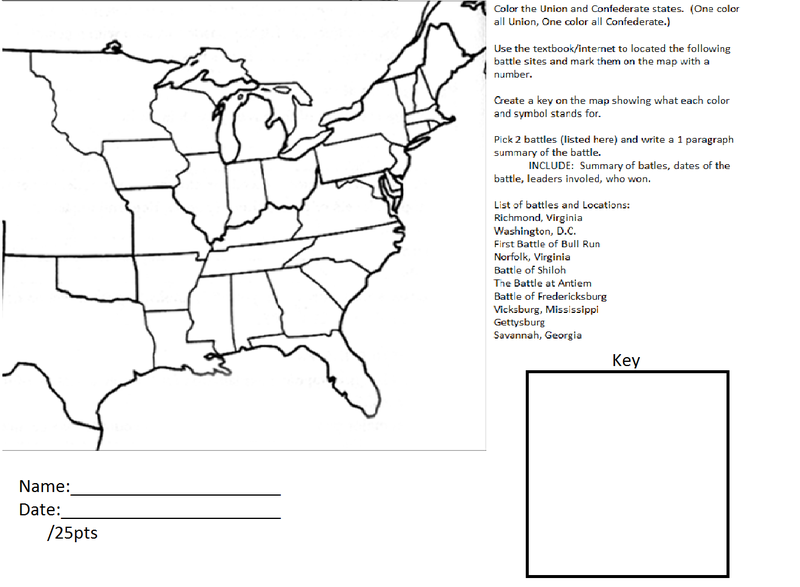 Unit VI Map Project: The Civil War is a volatile time in our countries history. It is important to know which states supported which ideals, as well as the location of major events.